Tool pouches and bolt bags are diverse - meaning there is something cool out there for everyone. There are three main styles of tool pouches: bag, holder, and pouch. Many of the tool bags resemble canvas buckets. They have many of the same design features and range in sizes from small (ideal for screws, nails, bolts, etc.) to fairly large (ideal for hammers, wrenches, and small power tools). Tool holders typically come in tunnel loop or slotted connection styles and are designed to fit onto a belt. Need help finding the perfect tool pouch? 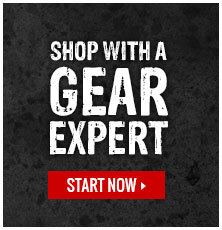 Click here to check in with one of our Gear Experts®.